As you may have noticed, I've been on something of a 'low buy' this year however I recently passed a bit of a professional milestone, so thought I'd treat myself! I'd had my eye on some bits for a while and over the May bank holiday Beauty Bay had a great discount on, so I had all the reason I needed to place a little order... I've been testing these products out for the past week or two and this smaller haul format allows me to be more detailed each product. Let's dive in! Anyway, onto the exciting bit! 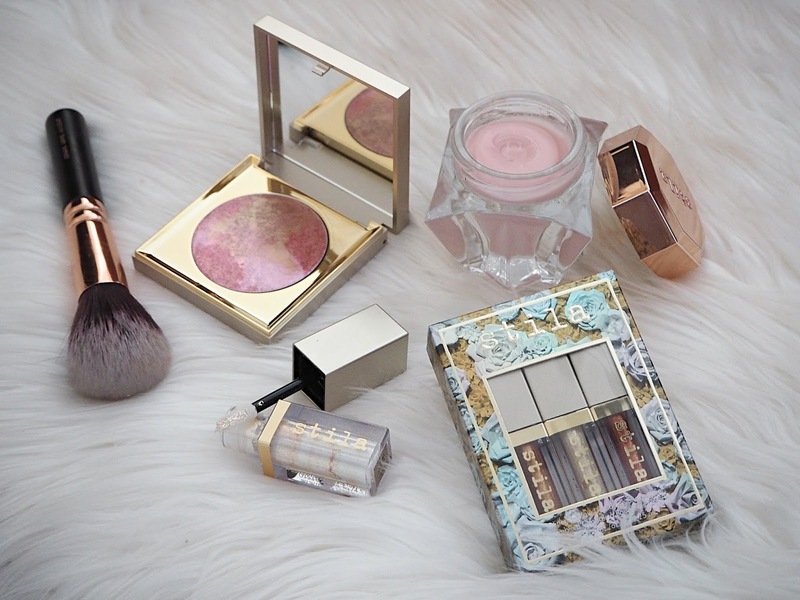 (Though in all honesty, my excitement over the order had seriously dulled by the time I finally got it...) I love that Beauty Bay stock so many cool indie brands; it really feels like I discover new and exciting products when I'm on their site. 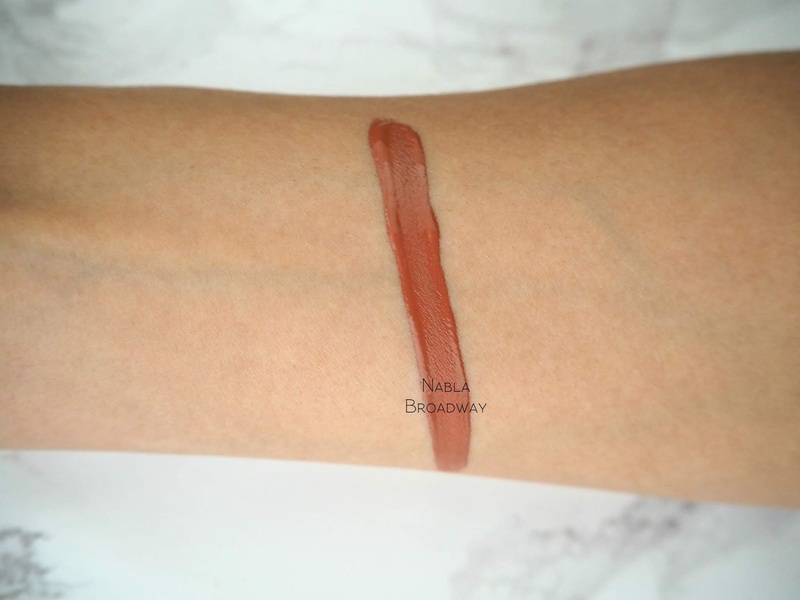 I'd heard really great things about the Nabla liquid lipsticks so opted for the reddish-brown shade Broadway. 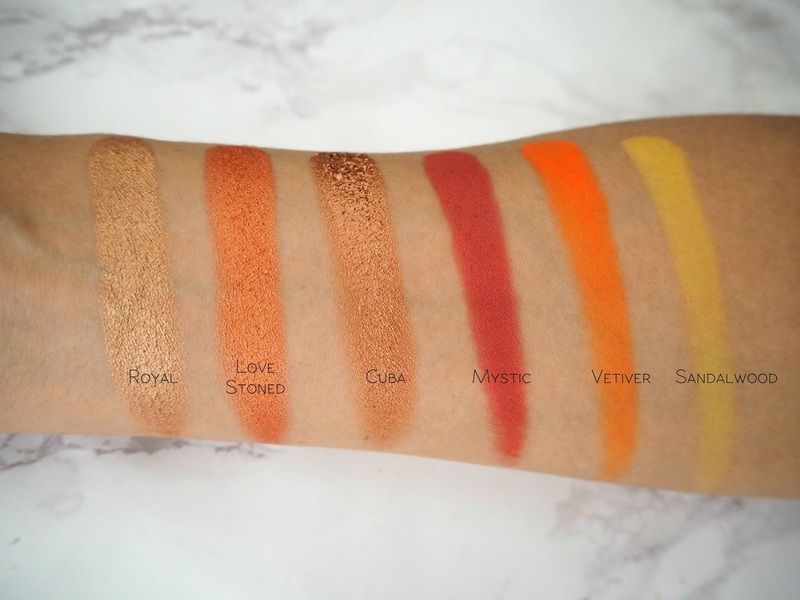 I've also been wanting to try an Ofra highlight for forever but the shade everyone goes on about - Rodeo Drive - is a light gold and after my highlighter declutter (a post is in the works), I know I don't need any more of those! I thought Bali looked really interesting and beautiful (I've never really heard anyone talk about this colour) so opted for that instead. It is slightly similar to my Elf Apricot Glow but that's a very subtle formula and this packs a serious punch! Finally, I've had my eye on the OPV Oshun palette for months and I still wanted it when I was deciding what to order, so I thought it was time. Although the shades are admittedly nothing dramatically different for me, those mattes add something new to my collection and what really drew me to this were these amazing foil-effect and pressed glitter finishes several of the shades had. This is a UK-based brand that formulates colours that look good on, let's say, NC35+ skin tones. That's not to say you can't wear their products if you're fair - of course you can! - but they're designed to show up without looking ashy on darker skin (people really underestimate how many neutral palettes are unwearable on women of colour). 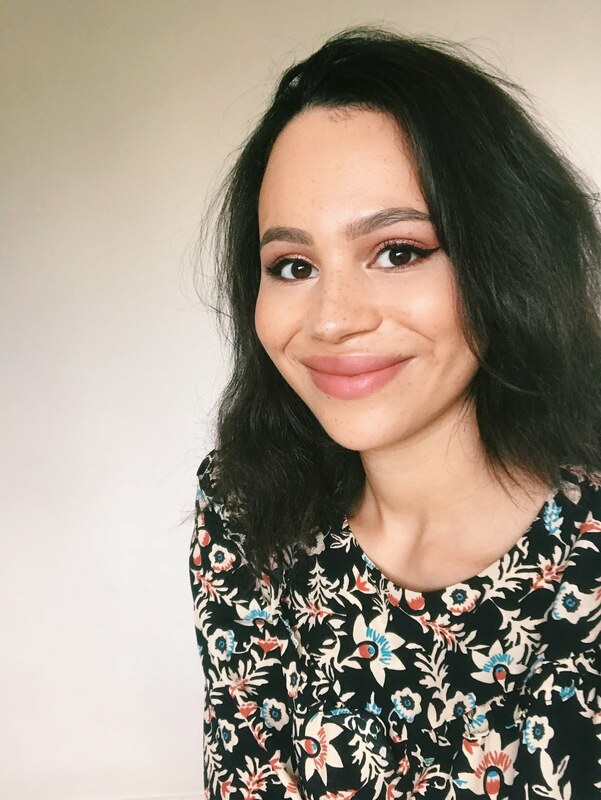 Nabla Dreamy Matte Liquid Lipstick in Broadway | £13.25 | This is the product I’ve used the least as it isn’t really an everyday shade, so my thoughts here are more of a first impression. I find this formula super-pigmented and it goes on very evenly. It's easy to re-apply and doesn't look streaky or peel off as it wears throughout the day. In terms of comfort it's pretty great; it's a matte product so obviously it's not going to be hydrating but it doesn't fully set down so doesn't dry out my lips or cling to dry patches of skin on them. The wear time is very good despite the slight transfer and it even survived a greasy pizza almost intact! I really like this deep reddish-brown colour as it's gorgeous for an evening look but isn't too dramatic. Ofra Highlighter in Bali | £25 | When people hype up this formula; they aren't kidding! It's soooooo pigmented and gives you that 'bam, I'm here' highlight. It's very smooth and isn't glittery or anything like that. I apply this with a fan brush which works for me, though I can totally see how this look might be too much for some people. This colour is so beautiful - it's a sort of very warm peach colour with a golden shift. It's perfect for summer and I can see it being an absolute favourite of mine. The shade isn't something you come across very often in the thousands of highlighters on the market and it's perfect for my skin tone. 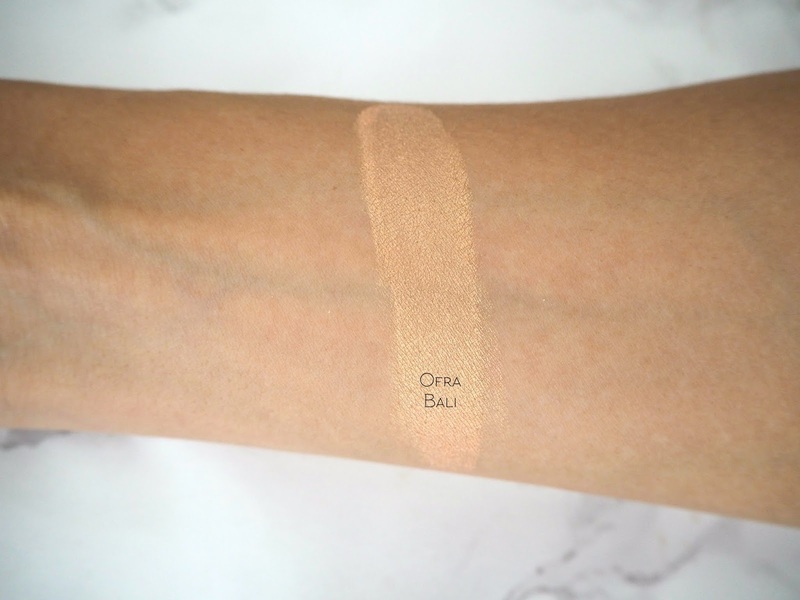 If you're warm and have a medium to slightly deeper skin tone then I think you'll love this colour too. 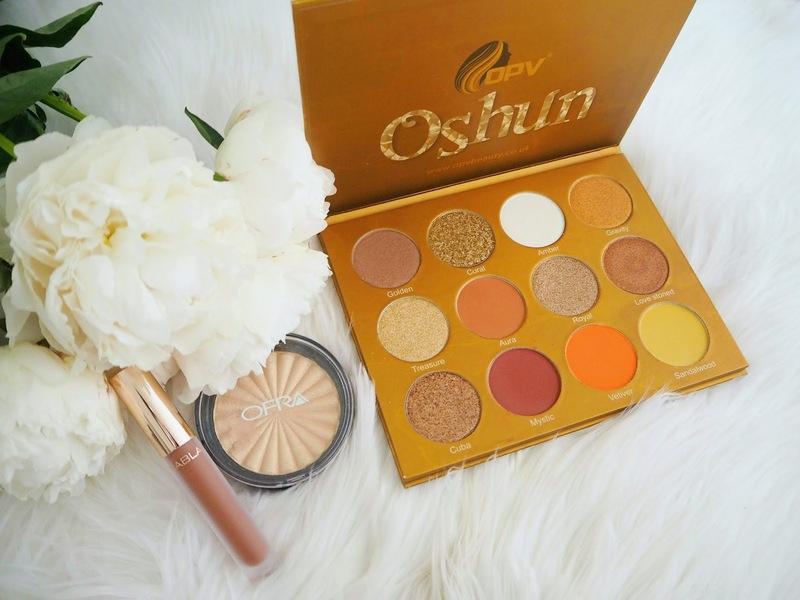 OPV Beauty Oshun Palette | £29 | Finally we have this stunning eyeshadow palette. I was amazed at how huge this was when it arrived! The pans are absolutely massive but the cardboard packaging is very slimline, which is great given my limited space (even post-declutter). Obviously it doesn't have a super-premium look or feel but it does the job. This palette has five finishes in my assessment: matte, sheeny, standard shimmer, foiled and pressed glitter. They're all fantastic in terms of the pigmentation and performance - though with the pressed glitters, I prefer to press them onto the lid with my finger instead of a brush (a bit of MAC Fix + helps it to really adhere but isn't 100% necessary for these shadows to work). That aside, they're generally very easy to work with and blend out evenly. Golden is a reddish plum shimmer that I like on the outer corner. Coral is a stunning yellow gold pressed glitter. 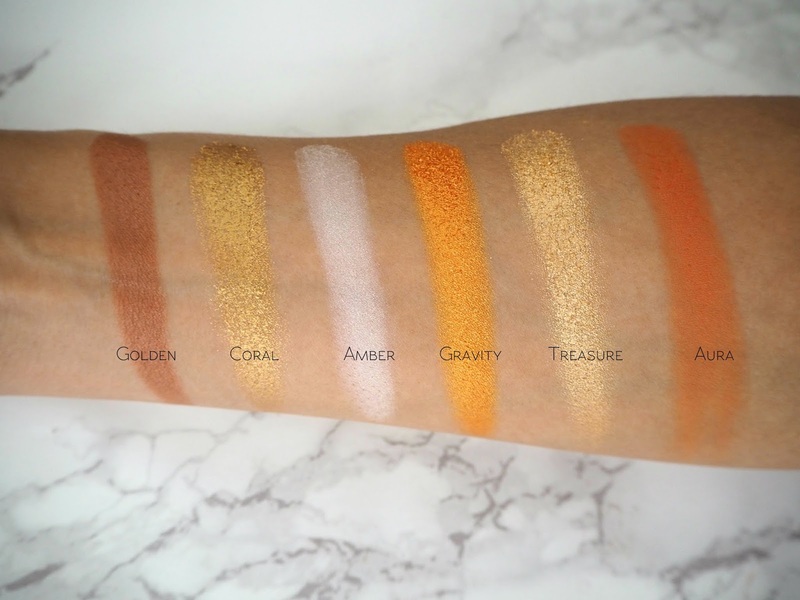 Amber is a white with a very slight iridescent sheen - the only shade in the palette I don't use much, as I never seem to go for these very light matte or semi-matte colours (and the consistency is slightly chalky). Gravity is a very warm orange-gold shimmer. Treasure is a foil-effect light gold - for me this is a lid colour but it could serve as a highlight on deep skin tones. Aura is your very warm mid-toned reddish-brown matte colour for the crease. Royal is a true antique gold with a foiled finish. Love Stoned is a warm brownish-red shimmer (though I'm not sure including both this and Golden was entirely necessary). Cuba is a warm bronze pressed glitter. Mystic is a beautiful deep berry / wine matte. Vetiver is an almost neon orange matte to transition with. Sandalwood is a warm mustard yellow matte that I also use as a transition. I find the wear-time of these shadows to be in the bracket of 'slightly above-average' - it isn't mind-blowing (by the end of my average 10-12 hour day, I can see a bit of fading and muddying) but I can trust it to last long *enough*. This is also with primer, so bear that in mind! All in all; I'm so glad to have this and I know I'm going to use and abuse it! This has been my first palette purchase in a long time and since my declutter I've been trying to be more mindful about what I bring into my collection. How much I love this palette has really reinforced that I should feel this way about all of my makeup! My only regret is that I didn't buy this sooner... I know these sorts of colours won't be for everyone but if you like warm tones: this is for you! Overall I'm so impressed with everything I picked up - I guess this 'waiting ages to buy' thing really does work! Let me know if you'd like to see more of these smaller, more in-depth haul posts in the future too. Have you picked anything up or do you have your eye on any bits from Beauty Bay?